Nearly all of the 50 seats in the courtroom were filled on the last day of the Centre for Gender Advocacy’s (CGA) lawsuit against the Quebec Government. On Feb. 27, the provincial government’s defence team made their final arguments. In their argument, the defence addressed the testimonies made throughout the trial. During seven weeks of hearings, the topics ranged from transgender youth, to parents, immigrants, and nonbinary people. The CGA is seeking to invalidate several articles of the Civil Code of Québec it claims violate the rights of transgender and gender nonbinary people. Article 62 states that transgender youth 14 years and older must have parental consent to change their legal name. “We want to make sure a minor has the cognitive abilities to make this decision,” said defence lawyer Stephanie Roberts in defence of the legislation. Defence lawyer Sophie Primeau argued it was no longer necessary to change the laws regarding gender markers on birth certificates. Because of article 146 of the Civil code, Quebec residents must choose to identify as either male or female on official documentation. However, during the first day of testimony on Jan. 15, the Directeur de l’état civil—the provincial body responsible for drawing up birth, death, and marriage certificates—announced it would remove gender markers from personal identification upon request. This is an administrative change that does not alter the Civil Code. Primeau added that allowing non-citizens to change their name and gender marker on their documentation could cause complications across national borders. Quebec is currently the only province requiring a person to be a citizen to change their name or gender marker on their personal identification cards. In January, Françoise Susset, a psychologist and transgender activist, testified on the stigma faced by transgender youth. She said young people often fail to receive parental permission to change their name and gender marker. The defence argued that because the CGA had not found a trans minor to testify, they had not presented enough evidence to show that parental stigma was a prevalent issue. Following the defence’s arguments, plaintiff lawyer Audrey Boctor delivered her final remarks. She sounded choked up as she responded to the defence’s criticisms of her case. She said the lawsuit was about the fundamental right to human dignity. “I ask myself if the attorney general really understands what human dignity means,” she said. Boctor said administrative changes are not enough to address the issues raised by the CGA’s lawsuit, since changing the legislation itself would help validate transgender and nonbinary identities. “When I hear these arguments, it just underscores why it is so important to go beyond the cosmetic changes that are being proposed,” she said. Regarding the lack of a testimony from a transgender youth, Boctor said it had been “impossible” to find someone who fit the criteria. For someone to testify against article 62, they would have to have applied for a name change and been refused because they lacked parental consent, and still be willing to testify. Boctor said the idea that allowing non-citizens to change their gender markers poses a security concern only “contributes to the stigma” around transgender immigrants. Hon. Judge Gregory Moore said the final words of the day. 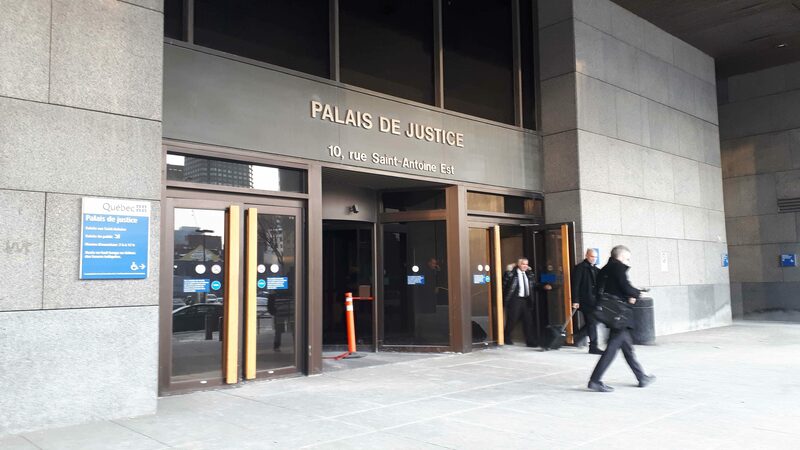 “[This case] touches people in their daily lives, but it also reaches really deeply into how society is organized in a civil law jurisdiction, into how Quebec and Canada are organized in terms of fundamental rights,” he said. Moore said he could not give a definite timeline for when he would render his decision. “It won’t be tomorrow, but it won’t be next year,” he said.